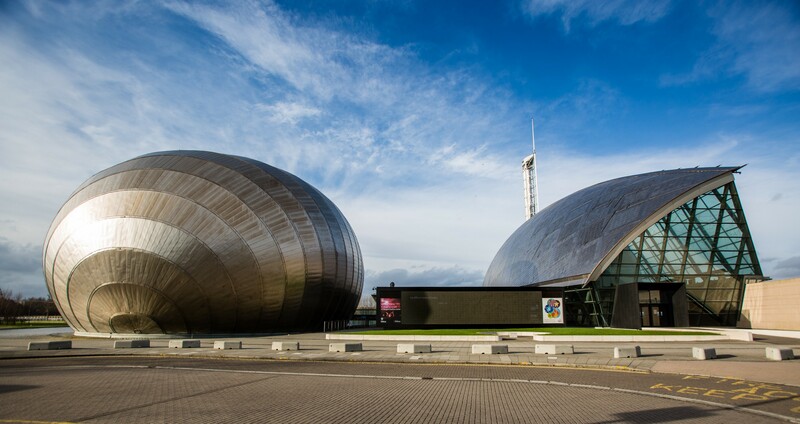 The Glasgow Science Centre will provide STEM awareness in diverse technology from medicine to the Internet of Things. In partnership with the Scottish Government sponsored Scottish Funding Council (SFC), Glasgow Science Centre (GSC) says it is on course to deliver its latest interactive exhibition which will focus on innovation. Idea #59 will inspire the next generation of innovators, engineers and scientists by exploring AI, Big Data, Robotics, Advanced Manufacturing, Precision Medicine and the “Internet of Things’. While aiming to engage wider society on how new technology will impact future generations, the exhibition will be expertly crafted so that it is fun and engaging for people of all ages. The exhibition will showcase the cutting-edge work carried out by Scotland’s eight Innovation Centres. So far £250K in funding has been raised and now GSC is calling on businesses to come on board as partners to help raise the remaining £750K to bring the exhibition to life. The project will also act as a conduit to help realise the Scottish Government’s aims around increasing innovation in Scotland. Last summer, the Scottish Government outlined proposals to help the advanced manufacturing, energy and financial technology sectors, to give additional support for graduate entrepreneurs and to help companies to access finance. In addition, it was announced that research and development (R&D) support from Scottish Government enterprise agencies was to increase almost 70 per cent – from £22m to £37m per year over three years. GSC will work alongside Scotland’s Innovation Centres to develop the exhibition content and educational and public programme. The eight Innovation Centres, funded by the Scottish Funding Council, aim to help businesses increase the pace of innovation and, in turn, help both the Scottish economy and people’s health. For Idea #59, GSC will be working alongside the Centre of excellence for Sensor and Imaging Systems (CENSIS), Construction Scotland (CSIC), Digital Health and Care Institute (DHI), Stratified Medicine (SMS-IC), Industrial Biotechnology Innovation Centre (IBioIC), Oil & Gas Innovation Centre (OGIC), Scottish Aquaculture Innovation Centre (SAIC) and The Data Lab. A group of experts from academia and industry will provide advice, guidance and direction for the new exhibition. Members include representatives from the Innovation Centres, University of Strathclyde’s Advanced Forming Research Centre (AFRC), Fraunhofer Scotland, Technology Scotland and Engineering Scotland. Almost 70,000 schoolchildren visit Glasgow Science Centre annually and the exhibition, housed on the second floor, will be a focal point of the Centre’s education programme and act as a powerful engagement tool to help inform young people of the wide range and rewarding careers available within the sector. Over its five-year life span it is estimated Idea #59 could draw in around two million people. Commenting on the partnership, Dr Stuart Fancey, Director of Research and Innovation at the Scottish Funding Council, said: “The innovation that science and engineering bring are central to our modern world. The great work in Scotland’s universities, colleges and Innovation Centres to make new ideas reality has a growing impact on our lives in areas such as developing more energy efficient homes and the use of Big Data to improve cancer care, amongst many others.